As a study abroad student, you really don’t have too much time for traveling besides your 2-3 day weekends. As a friend once told me, “Four months isn’t nearly long enough to see Europe.” And clearly, neither is a few 2-3 day weekends here and there. I’m here to tell you that with lots of planning and a laid-back attitude (oh, and good walking shoes), you can get a lot done in the huge city of Paris! Here’s a few tips that helped me see Paris in 2 full (and busy) days! 1. Download the Paris Metro app. Although Paris’s metro system is incredibly easy to get the hang of, there’s no better way to see the city than by walking it! And for those times when you do need to take the metro, one ticket is only 1.80 euro! In the amazing app, you can type in your current location and your destination and the app will tell you exactly which metro to take, in which direction and any transfers necessary! It’s great! Really, you can make a trip to Paris all your own! Just don’t fall under the trap of taking the metro from attraction to attraction. Walk! I saw so many more amazing views and restaurants just by roaming the streets of Paris. This is the Paris Metro App.. so simple! When connected to Wifi, make sure you load your Google Maps to find out where you are in the city. From there, you can turn your Wifi off, but the little blue dot will follow you and you will always know where you are compared to the main tourist attractions. Personal recommendation for travel, a favorite app of travellers all around is CityMaps2Go. Download the map of the city you are visiting before you travel, and as long as you have service, the map will always load, and you will be able to see your exact location, search for locations you are traveling to, and know what direction you are going! I say it every time I travel, and I’ll say it again- know before you go. Know which attractions you would like to spend more time at than others. For not being a huge art fan, I limited my time inside the Louvre. Although you can easily spend all day in there, I spent about 3 hours. If you know you are going to want to picnic next to the Eiffel Tower, spend more time there than you do at Versailles. Rate your attractions, and don’t be afraid to eliminate things if there won’t be time! You don’t want to have a bitter taste in your mouth about a city because you were rushing yourself. Notre Dame was my favorite! Sacre Coeur sits more outside of the center! Worth the hike! What’s the view of the Paris skyline without the Eiffel Tower!? Save some Euros and climb the Montparnasse Tower instead! 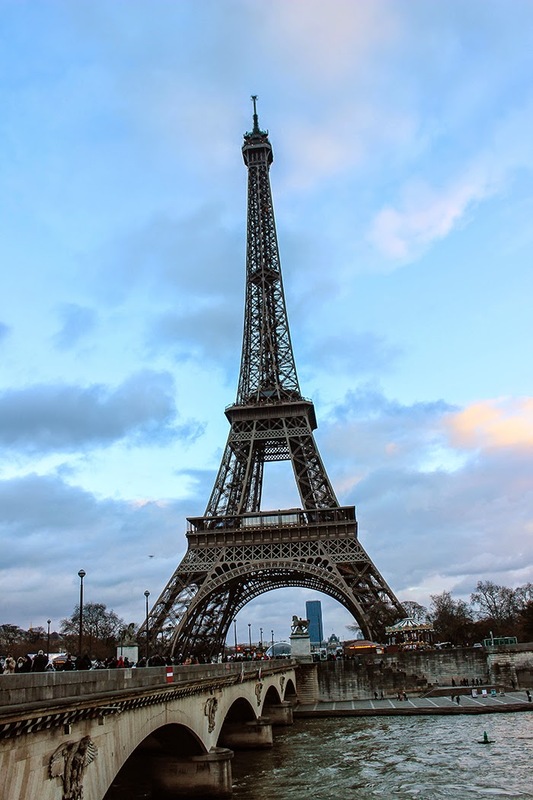 It’s a tall black tower on the outskirts of Paris with an amazing panoramic view of the city! It was only about 12 euro for students and they have a cute, cheap restaurant on the 56th floor! Don’t miss it, and get your best Instagram photo of the year. Really, you can make a trip to Paris you’re own! But don’t fall under the trap of taking the metro from attraction to attraction. Walk! I saw so many more amazing views and restaurants just by walking the streets of Paris! If you’ve been to France, what was your favorite attraction! ?